As the Class of 1981 approached our 35th Class Reunion, we embarked on an ambitious project which provided opportunities for mini-reunion gatherings and a renewed energy and focus on growing our class endowed scholarship fund. We produced a cookbook! The cookbook project was a 2+ year endeavor that attracted volunteers who had not previously been actively involved in class events. A committee of dedicated volunteers solicited recipes from classmates, former professors, and Gustavus staff. 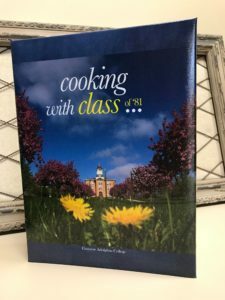 Nearly 100 classmates and Gustavus personnel contributed 400 recipes, resulting in a cookbook of which we are truly proud. 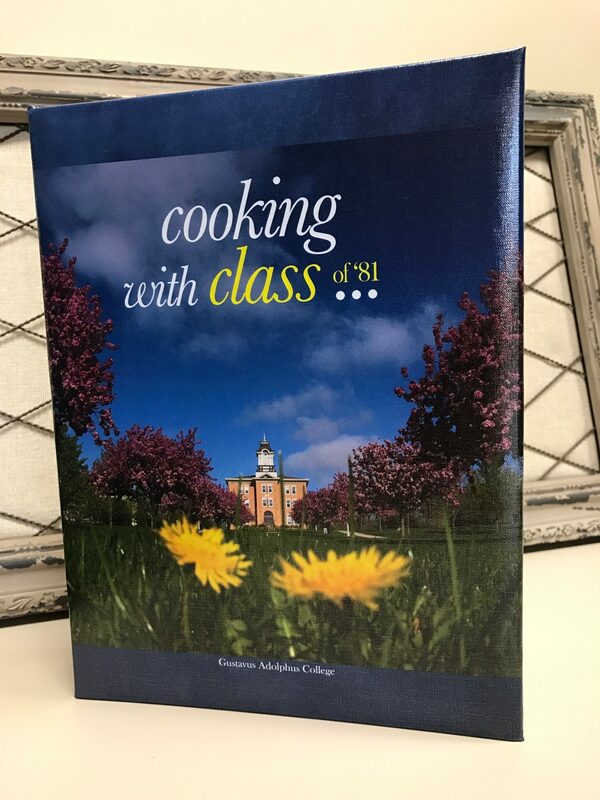 Many of the recipes have personal stories attached to them, which makes the book even more special and invokes wonderful memories for the Class of ’81. During the two years leading up to the printing of the cookbook and our 35th reunion, various classmates hosted potluck gatherings. Many old friends showed up at these gatherings, bringing not only a dish to share but the recipes for those dishes as well! We learned that there are lots of great cooks in our class—even a professional chef or two! Four classmates stepped up to pay for the printing costs of the books, so the entire proceeds from the sale of the book were donated to our Gustavus class scholarship. 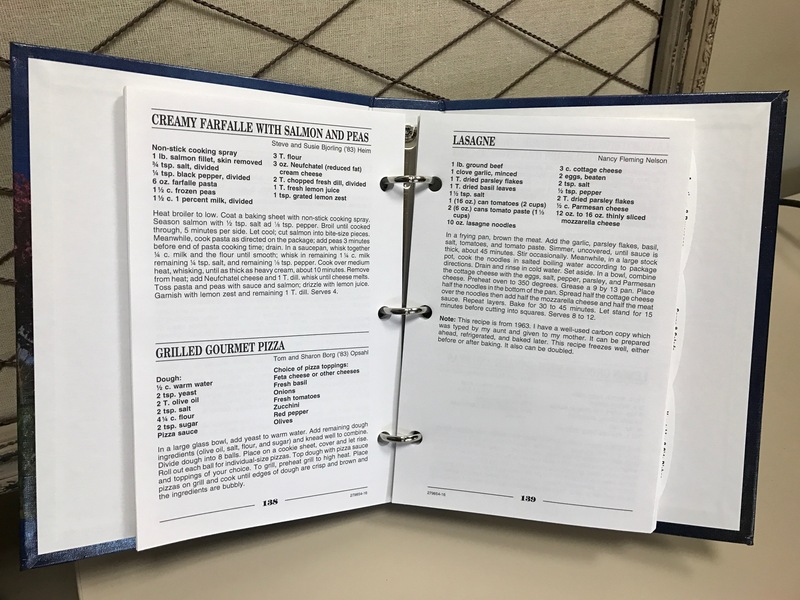 Recipes from the book were used by Gustavus Food Service for the meals we enjoyed during our reunion weekend. 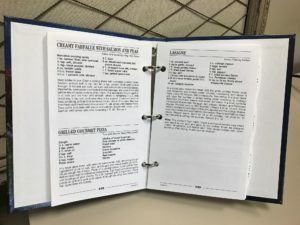 The cookbook project provided another opportunity for classmates to volunteer their time as well as to reconnect with Gustavus and with old friends and classmates they had not previously known but now call good friends. Meaningful projects such as this one have helped the Class of ’81 grow closer over the years and resulted in strong attendance at our reunion and other Gustavus events. If you’d like to hear more about this project or want to talk about other ideas, please feel free to contact Leslie Nielsen or Steve Heim, Co-Presidents, Class of ’81. We’re always anxious to hear what others are doing to keep Gusties engaged! Thanks Leslie, Steve, and the Class of 1981 for embodying the spirit of GAC REP to the fullest!